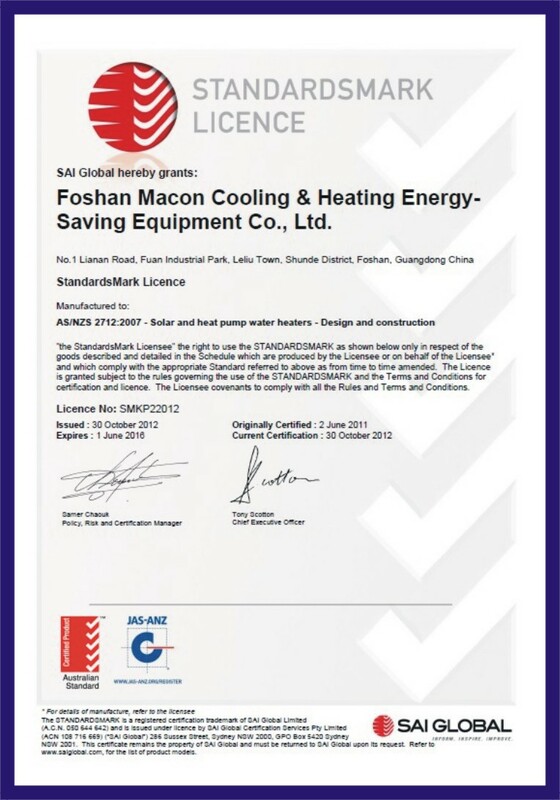 Company Overview - Foshan Macon Cooling & Heating Energy-Saving Equipment Co., Ltd. 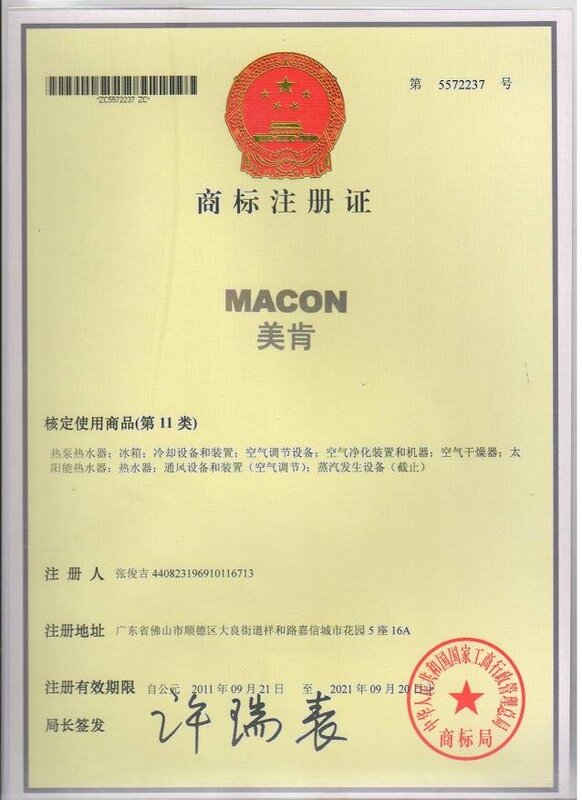 Welcome to Macon Cooling & Heating Energy-Saving Equipment Co., Ltd. Our company is one of the leading manufacturers of heat pumps in Guangdong, China, specialized in the field of air / ground source heat pumps, air cooled water chillers and hot water heat pump , all in one heat pump , floor/ radiator heating heat pumps, multi-function heat pump , dehumidifier , fan coil and so on. 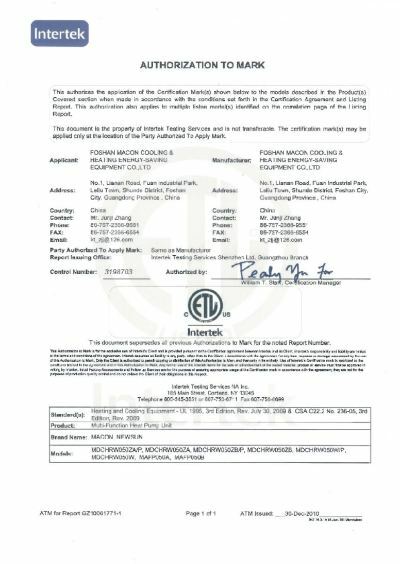 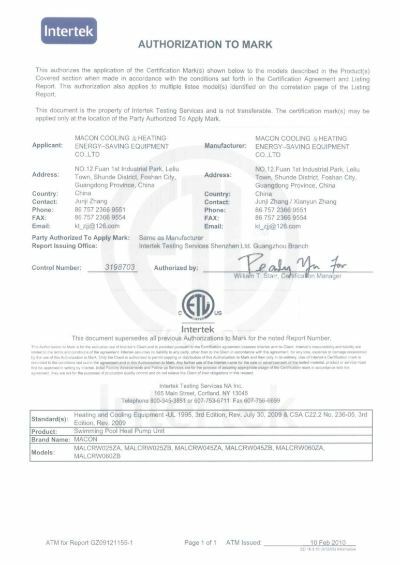 Our Macon , which of good faith professional heat pump manufactory for 6 years with obtaining CE, ETL ,SAA,C-TICK,WATER-MARK,STANDARD MARK ,CCC and ISO9001:2008 certification. 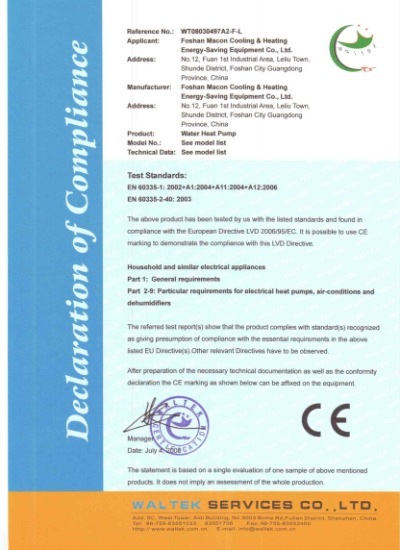 Our senior engineers,20% over 20 years experiences in the heat pump area , 80 % over 8 years experience . 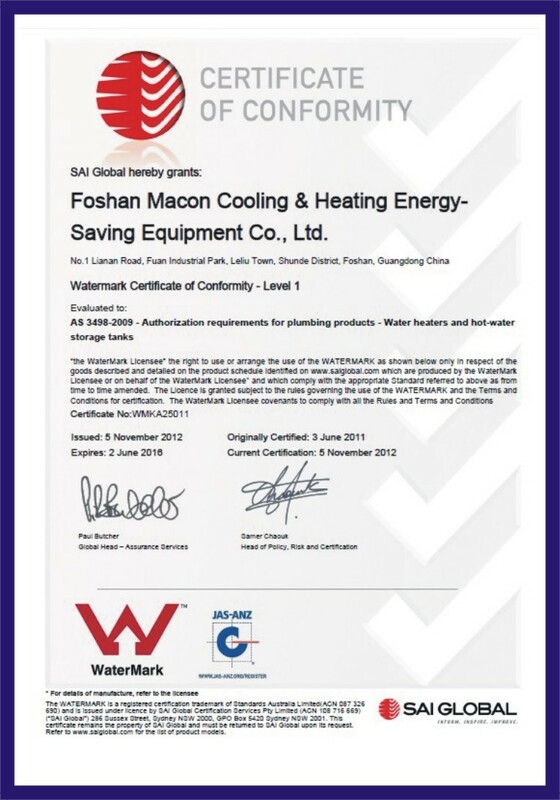 And 60% skillful technicians are 10 years manufacturing experience of heat pump ) What's more ,we have obtained 3 patent of invention in the area of heat pump ,and use six sigma management and High-tech detection equipments . 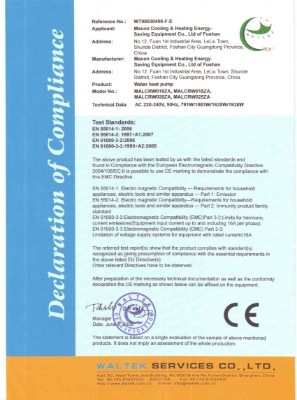 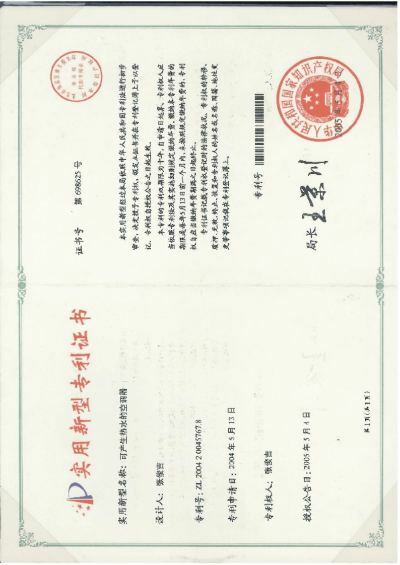 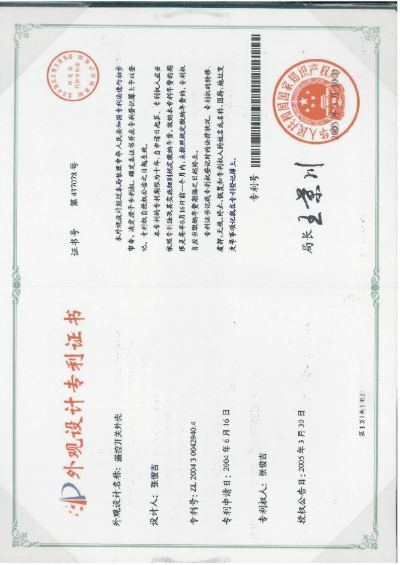 We have earned a good reputation and our products have attained the many certifications. 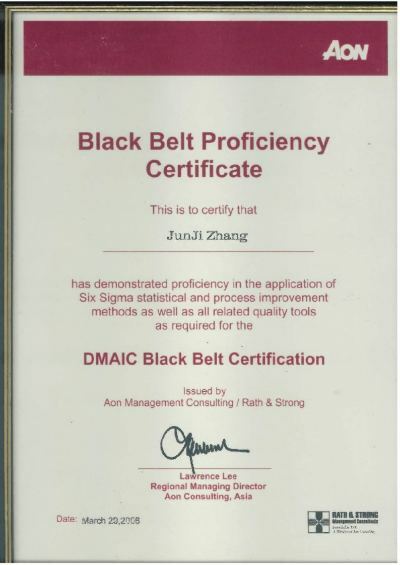 We have a group of senior engineers and skillful technicians to ensure high quality. 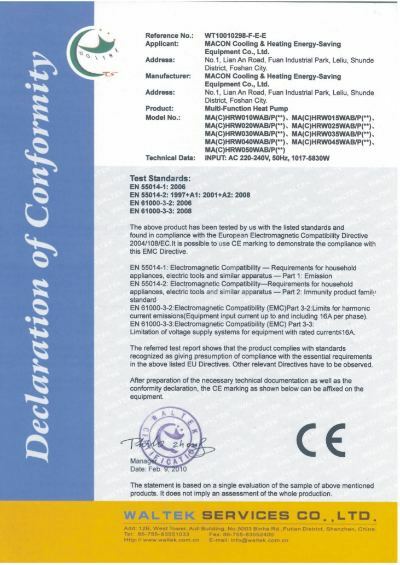 Strict quality control is always being implemented by us. 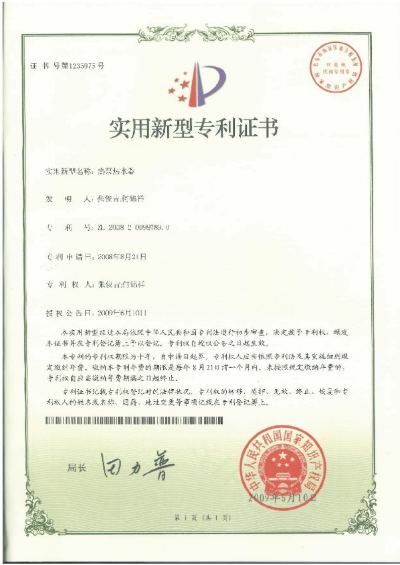 With excellent R&amp;D abilities and high technique innovation, our company has established OEM/ODM business relationships with a lot of overseas enterprises, supplying suggestions and services for customers worldwide. 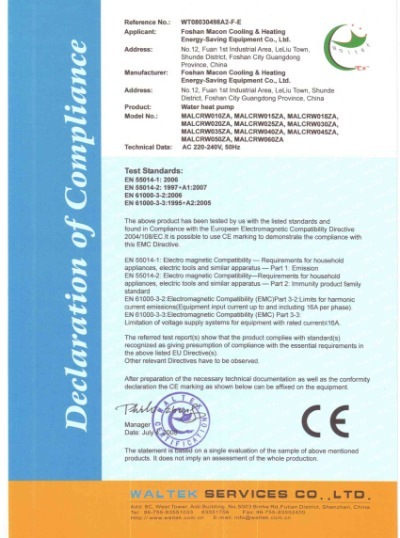 We are devoted to researching and developing new products. 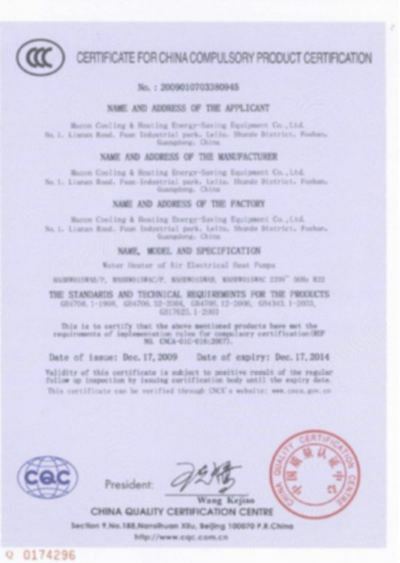 And Under our six sigma management system and the first-class production process and strict quality control system, our manufacture capacity will be 58,000 sets heat pump every years. 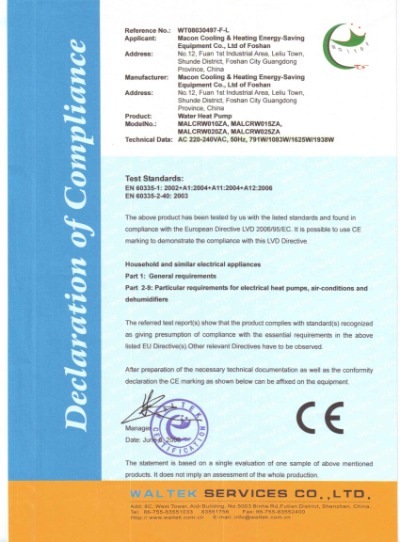 we established OEM business relationships with lots of overseas enterprises from North America, Europe, Australia, the Middle East. 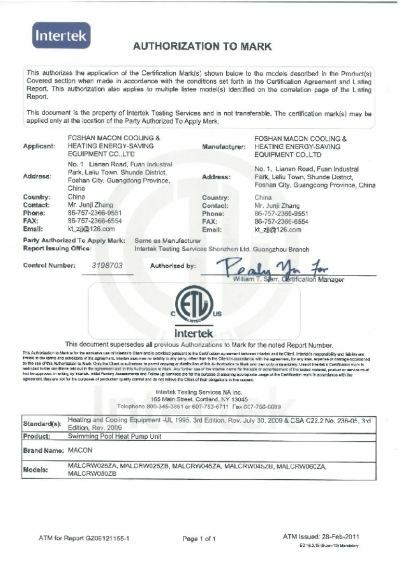 So we are the manufacturer that you can trust fully in China. 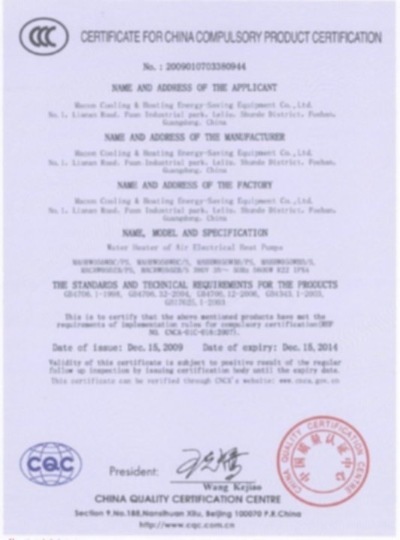 In recent years, our company has been able to offer one-stop service to overseas customers in the fields of commercial air conditioning, special air conditioners, purification devices, exactitude air conditioners and auto-controlled equipment. 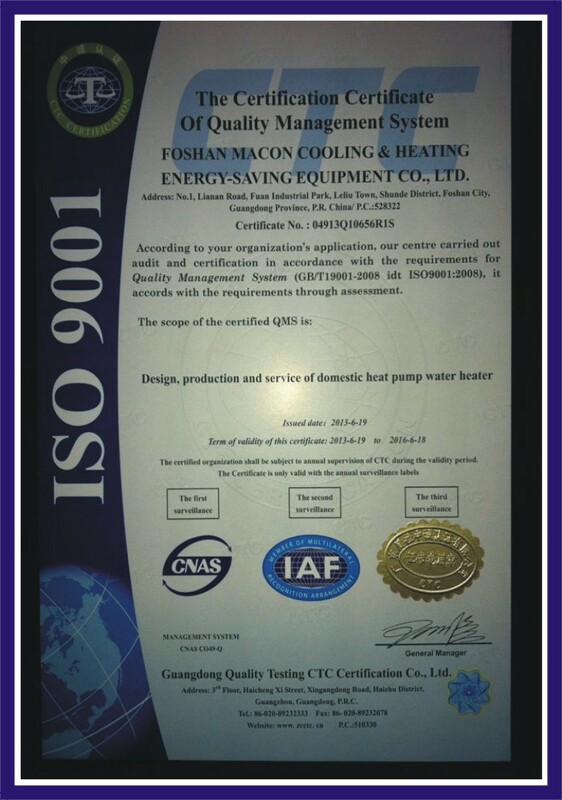 We always take energy saving as our developing trend and environmentally friendly as our aim. 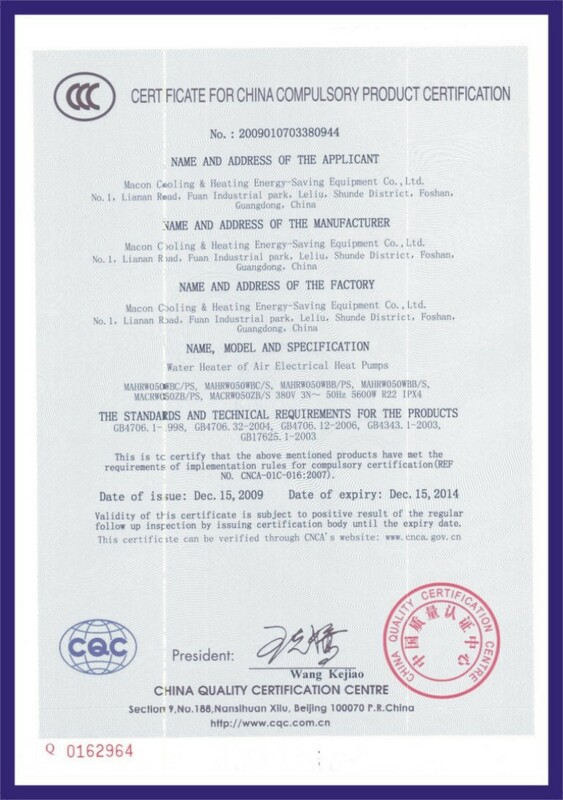 We have devoted ourselves to technology revolution to provide more reliable, stable and environmentally friendly products to customers worldwide.